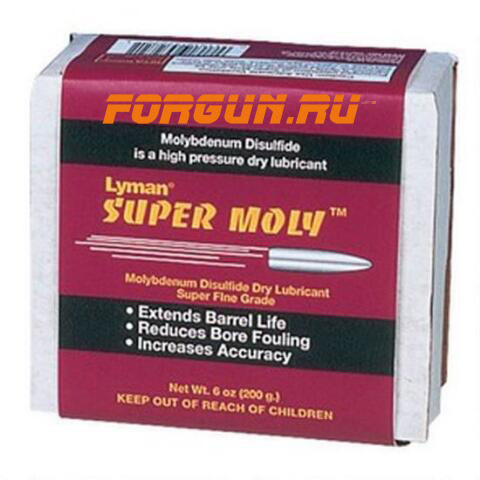 Молибденовая сухая смазка для литых пуль Lyman Super Moly не плавится при высоких температурах, повышает ресурс ствола, уменьшает загрязнение и увеличивает кучность. 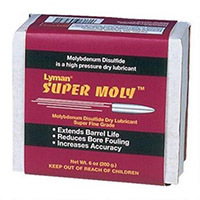 The Molybdenum Disulfide in this lube coats the barrel for increased velocity and improved accuracy. In addition, it virtually eliminates leading and it flows through lube sizers without heat, yet won’t melt at 130°. All Lyman stick lubricants are hollow and fit the 4500 Sizer/ Lubricator and similar Sizing/Lubricating tools, including RCBS.